Starting a sticky with dyno sheets only. 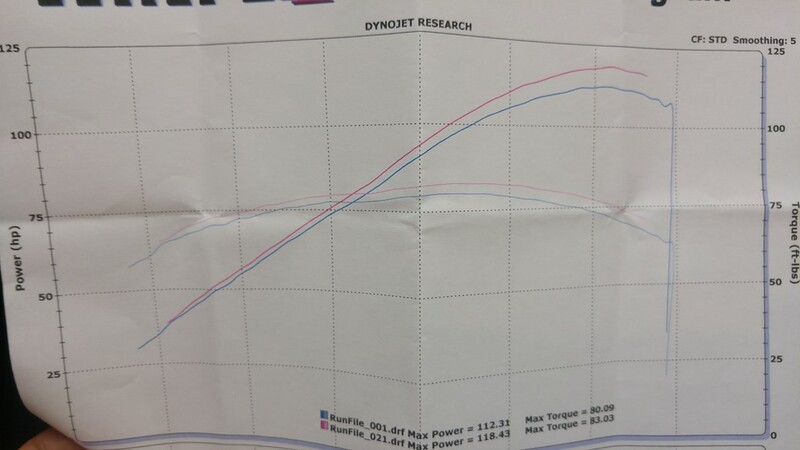 Please post a pic of the dyno sheet with a short description of your bike. Please no comments as I'm trying to keep this thread as clean as possible for a reference thread. NO PIC, NO POST. Numbers mean nothing without a pic of the curve. What is that chart showing? HP and torque should cross at 5250 revs - whatever the tune of the bike. Red hp and lighter blue tq are PCV and my custom pipe. Green hp and magenta tq are D&D pipe. Brown hp and dark blue tq are Sampson Calibers. This is on a Mustang automotive dyno. Will show less power than a dynojet bike dyno. I remember we had a similar thread with lots of dyno sheets but I can't find it any more.